Public hotel by Herzog & de Meuron has bedrooms "like cabins on a yacht"
Photographs of New York's latest hotel Public, designed by Swiss firm Herzog & de Meuron, have emerged following its opening last week. 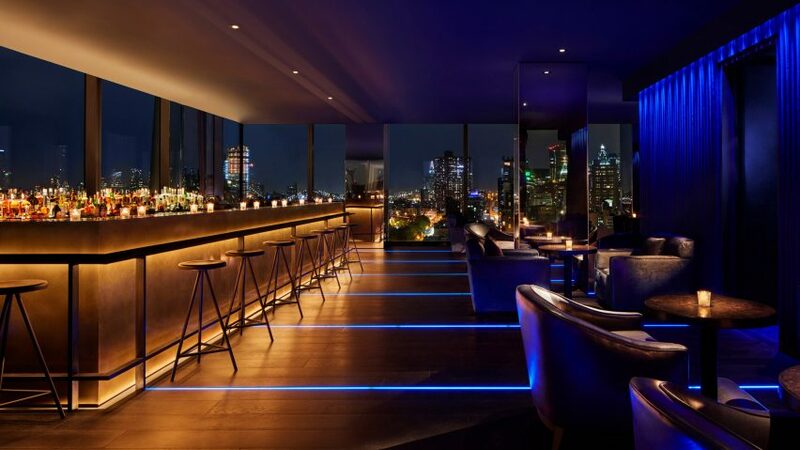 Public is the brainchild of legendary hotelier Ian Schrager, who opened the 367-room venture in the city's Bowery neighbourhood in response to growing competition from Airbnb. He enlisted architecture firm Herzog & de Meuron – which is also working on his 160 Leroy and 40 Bond projects – to design the building at 215 Chrystie Street. The tower also includes private apartments with interiors designed by John Pawson. In an interview with Dezeen ahead of the opening, Schrager described the hotel's pared-back approach and aesthetic as "tough luxe". "It's not shabby chic, retro, industrial, reclaimed or the ubiquitous Brooklyn look... it's simplicity as the ultimate sophistication," he added in a statement. The hotel has two restaurants: Public Kitchen, which serves an eclectic menu and centres around a wood-burning oven and grill; and Louis, offering snacks, coffee and light bites along with "slow food" dishes. Three bars with dimly lit interiors and a blend of furniture styles spill onto outdoor spaces. One is located on a rooftop terrace that offers panoramic Manhattan skyline views. Guest rooms are stripped back to the essentials "like cabins on a yacht". Each includes Apple TVs, and an abundance of sockets for charging electronic devices. Instead of frivolous room service, food can be ordered online. Self check-in and keys are also available on guests' smartphones. "We didn't just put an iPad in every room under the guise of being a 'tech hotel' like so many other brands are doing," Schrager said. "Every interaction with technology was considered for ease, efficiency and effectiveness." In the basement, a flexible events space will host Public Arts – a cultural programme that will include talks and discussions, theatre and musical performances, and dance parties. Herzog & de Meuron ranked at number four on the inaugural Dezeen Hot List, proving how popular the studio is with Dezeen readers. The studio's other recent projects in New York include the 56 Leonard "Jenga" tower in Tribeca, which features exposed-concrete interiors. The firm is also set to turn a derelict power station in Brooklyn into a manufacturing centre for designers and makers.